Conflict Coaching for Christmas is designed to help you deal with any family or workplace difficulties that you usually find yourself in at Christmas. You may have a relative you can't bear to see and yet family duties and expectations mean you may have to do so. You may have expectations at work that always lead to stress and anything but "peace and goodwill to all humankind"
You may find it a stressful time to be with your partner due to expectations to buy presents while at the same time worrying about the cost. You may find the excitement of your children too much to handle when you'd rather just have a bit of peace and quiet…. …..or you may have a different challenge that crops up every year and so far you haven't managed to find a way of dealing with it without stress and perhaps even some animosity. Contact us if you would like an initial Conflict Coaching session to help you deal with the stresses that you usually experience at Christmas. We will respond to you as soon as possible to make date, time and payment arrangements or to answer any initial questions you may have. Christmas can be a wonderful time - a chance to meet up with people we haven't seen during the year in a spirit of celebration, perhaps a chance to take time out to do something special for a couple of days with those we love. But Christmas can also be a time when those issues from the past that we haven't resolved with our parents or in-laws or siblings or other family members or even workplace colleagues, come to the fore. There can be an 'opening of old wounds' or a locking-of-horns with those who we feel want to run the show or spoil things for everyone - basically they don't do things the way we'd want them to. Conflict Coaching for Christmas gives you a space in which to discuss these annual challenges and prepare yourself for dealing with them more effectively, in a way that is not 'giving in' but supportive of you and what you need without it having to become a battle, an argument, a storming out, whatever the normal experience is for you. Christmas is meant to be a time for relaxing and having quality time with our family and friends, but if we are 'on edge' because of our difficult relationship with another person, we don't receive the benefit for ourselves. Conflict Coaching for Christmas will help you to do that so that you too can enjoy Christmas and the opportunities it brings for being with loved ones and having a good time with friends. How could I communicate to the other person(s) what I'd like to happen? The focus in all of these questions is on you and what you want, and what you can do, in order to make your situation kinder, gentler, more enjoyable, safer.... you put the word that works best for you for how you would like to feel. 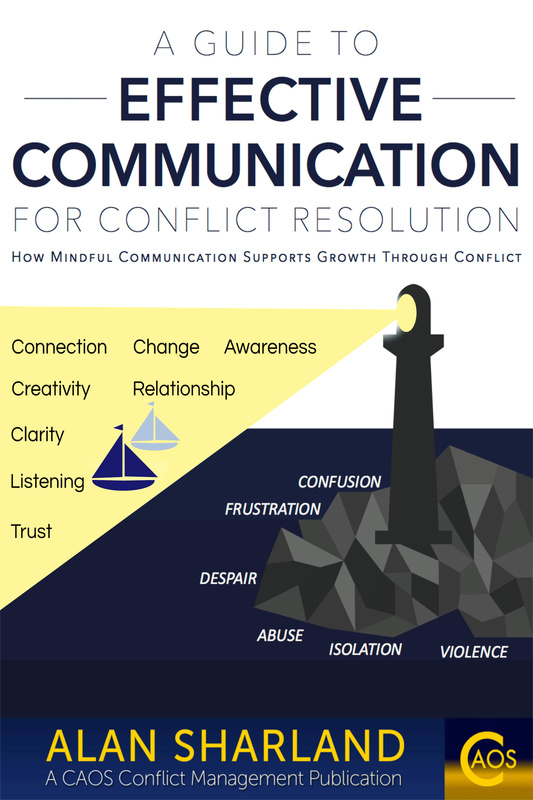 Conflict Coaching for Christmas - some support that could help you move on from your difficulty - forever! We are offering a first Conflict Coaching for Christmas session for half-price at £36 per hour ($50 per hour if you are contacting us from America). We offer Conflict Coaching via Skype so if you are based outside of London you can still take up our offer. Give yourself an early Christmas present that may well go on to make the rest of your Christmas, and that of others you meet up with, a lot more enjoyable - Conflict Coaching for Christmas. We are offering a first Conflict Coaching for Christmas session for half-price at £36 per hour ($50 per hour if you are contacting us from America). We offer Conflict Coaching via Skype or FaceTime so if you are based outside of London you can still take up our offer. Please Contact us if you would like to book your first session. Some Help with Your Challenges at Christmas! The CAOS Conflict Coaching Clients Handbook.